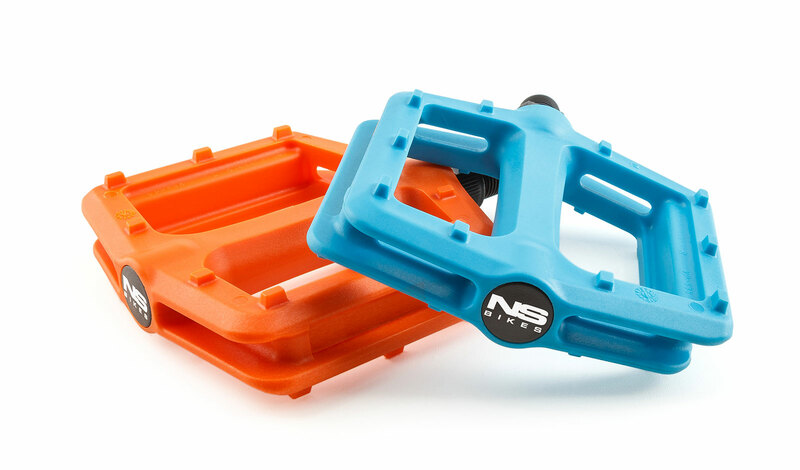 These great quality pedals made from injection molded nylon are a lot lighter then aluminum pedals. 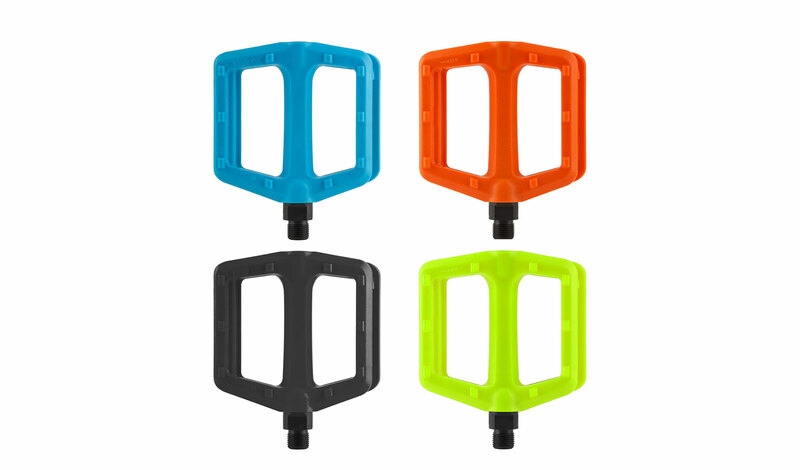 A large grippy platform and extremely thin 19mm profile is all you will need. 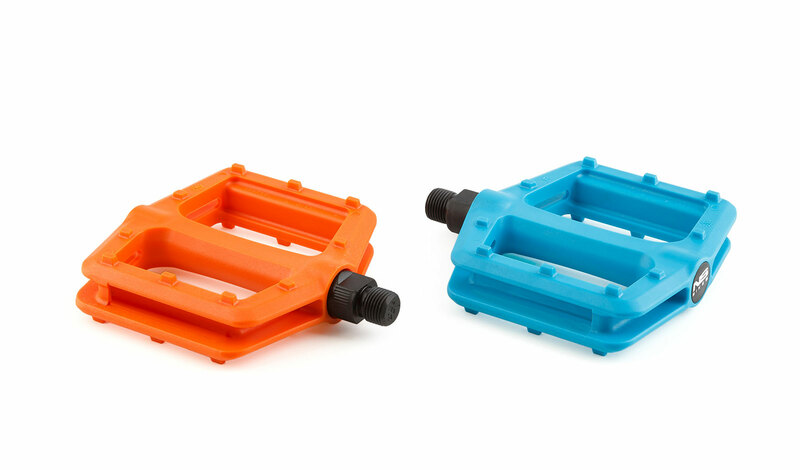 Spins on high quality loose ball bearings and oversized hardened cromoly axle. Axle thread size: standard 9/16"